There’s two main excuses for making bread at home. The first one is that people are afraid of yeast. The second is that people don’t have time. Now I admit, since working at home I do have time to “tend” bread. But what’s to tend, really? Let’s examine what happens. If you’re proofing the yeast, which you don’t have to do if you’re using a very long first rise, you’ve used up 15 minutes – maximum. Sometimes only 10. For those new to bread-making, “proofing” the yeast entails putting the yeast in warm water (no more than 110°-115°F) and allowing it to activate. 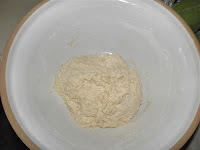 Becoming creamy/bubbly “proves” that the yeast is alive and will raise your flour. 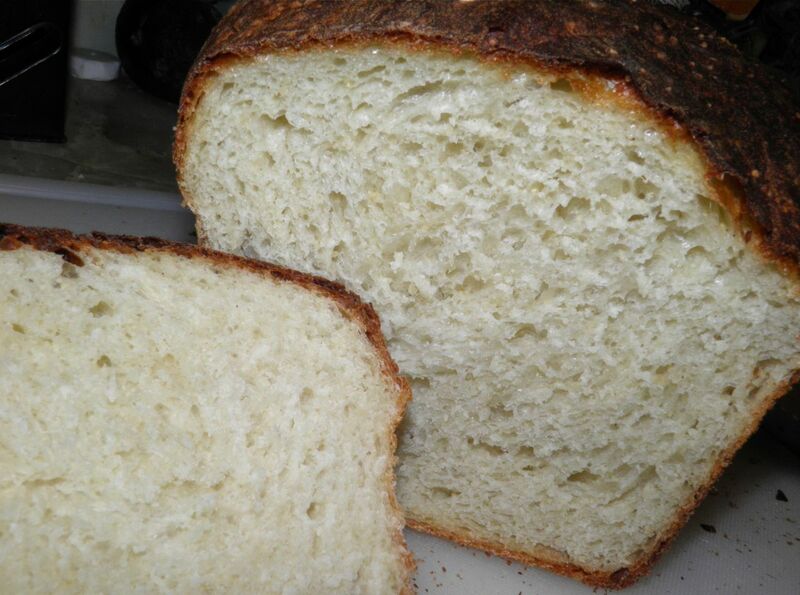 The gas created by the yeast is trapped in the wet flour structure and causes the holes and texture in the bread. If your yeast doesn’t proof, you will bake a brick. Throw it out. Then you let it sit, unattended in a warm spot. 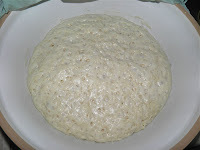 Usually proofed yeast bread will rise in 2 hours (first rise) which is then shaped and allowed to rise again. So you have more than enough time to run errands, etc. If the time goes over (you’re caught in traffic) it’s no big deal. But what if you have to go to the office? 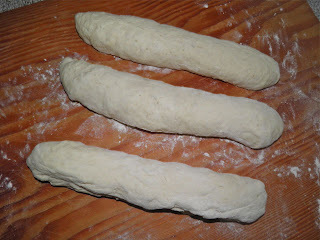 Anything you do to make the bread rise more slowly will stretch that first rise time. Two techniques are to not proof the yeast so it takes more time to activate, or let it rise in the refrigerator – which can take all day. I even find that using the yeast un-proofed and leaving it on the counter overnight or all day causes no deleterious effects. So you have no excuse for not making bread. None at all. I haven’t bought a loaf since moving to the country a month and a half ago. But why do it at all? There’s a few good reasons. Commercial bread tastes like... nothing. Commercial bread is the bread equivalent of mass-produced beer. If you’ve ever had a craft beer you know what I mean. Real bread has taste and flavour. I don’t know how they take the flavour out, but they do. Somehow. You can add whatever you want to your own homemade bread. You can add rye, spelt, whole grains, or seeds – whatever you want to boost the nutrition per slice. And it’s good for the soul. There’s nothing more satisfying than pulling a puffed, golden loaf from the oven and cutting it – still warm – and slathering it with butter! Way cheaper than therapy! And probably better for you. 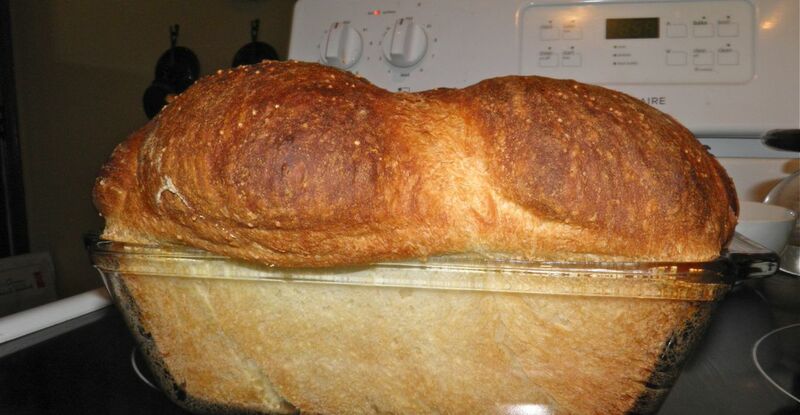 There’s two ways to make this bread. Either way you need good yeast. So make sure you have fresh – not 6 months old! No proofing: Mix together all the ingredients in a large bowl and let rise in a warm place for 3.5 hours, or in the refrigerator for 8. Traditional way: Proof the yeast in the honey and warm water until bubbly and creamy. Then add the remaining ingredients and let rise in a warm spot for 2 hours. 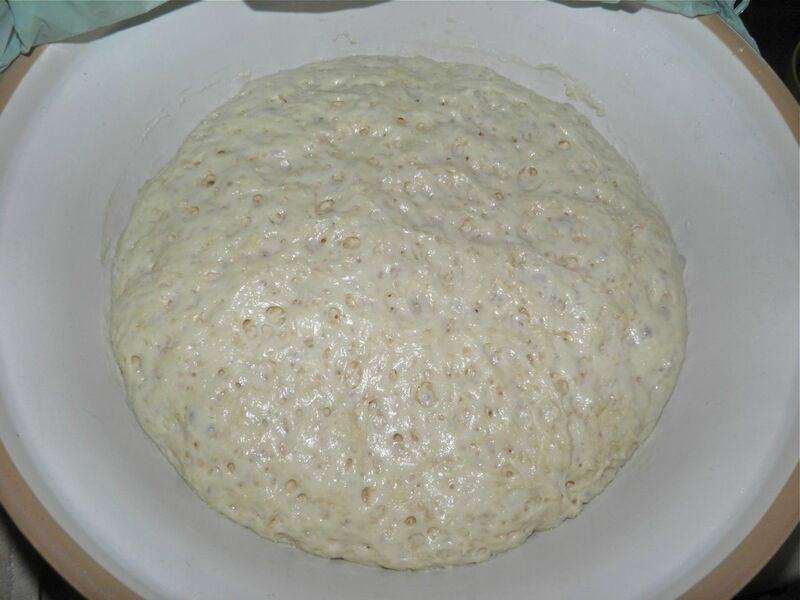 Either way, knead the sticky mess as well as you can for about 2 minutes before first rise. After the dough has risen, punch it down and flop it out onto a lightly floured board. Place on a Divide the dough into three equal pieces. Take each piece and with your hands roll/pinch/fold (no good description for this technique) each piece into a log about 14” long. Braid the strands together. Tuck the ends under a little. Place the dough in a well buttered 9x5 loaf pan, or on a baking sheet if you prefer. Let proof again for 1 to 1.5 hours. About 20 minutes before the second rise has finished, preheat the oven to 450°F. 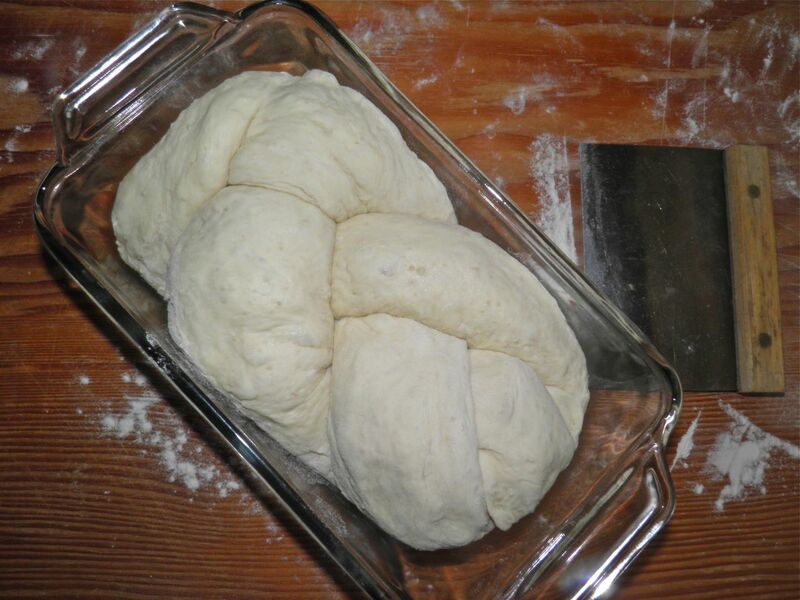 Bake the loaf for 30 minutes until dark brown on top and the loaf sounds hollow when tapped. This loaf will darken more than a usual loaf because of the honey content. The brown crust will soften after being taken from the oven. Even though this has a lot of honey, it's not super sweet.